Except for certain cinematographic functions ... Political Encounters Pawan will never be in contact with his fans. He never says anything to them and does not do it. Although he is present in social media, he never interacts with his fans. But recent developments can force Pawan to respond and appeal to his fans to keep calm and accept criticism in a positive way. Because the problems of Mahesh Kathi Vs Pawan fans become serious with every passing day. It is known that Mahesh Kathi is a film critic and has become popular with the Bigg Boss show recently. 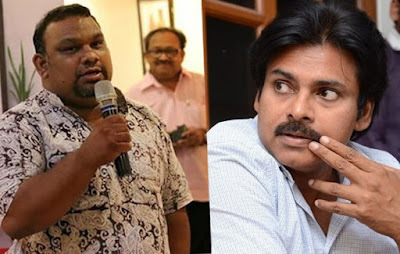 Pawan fans were already angry with Mahesh Kathi's "Katama Rayudu" study. When Mahesh Kathi criticized Pawan. In a recent interview, Pawan fans were severely upset ... and they began to target him personally. Kathi Mahesh's phone number reached thousands of Pawan fans and they started calling her and sending a WhatsApp message continuously to give sleepless nights to Kathi Mahesh. All these things have happened in the last three days. Mahesh Kathi has posted a video on his Facebook explaining how he gets calls from Pawan fans without interruption ... how he runs into problems because of them ... how they abuse him in rude language. A fan threatened Mahesh Kathi that "You will be killed in such a way that even your son can not recognize you" during a program of discussion on television channels. Mahesh Kathi also shared this video too. He expressed concern about the possibility of a physical attack. Keep clear of who is right ... who is wrong ... what we must do now is to put an end to this episode. We must stop these developments even before something undesirable happens. Unless Pawan interferes and stops his fans from doing all this, the controversy would not collapse. When similar incidents arrived in Tamil Nadu, stars like Vijay ... Ajith phoned their fans not to disturb the others. Many people say that Pawan should give such a call to his fans here too.